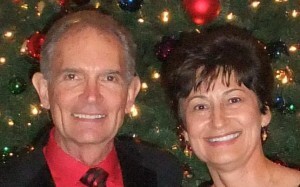 Bill Munro and Lupe Escamilla are the founders of Pars Omni. For over 30 years, the Educational Development Corporation (dba Pars Omni) has been a leader and innovator in developing and delivering educational programs that are effective and healthy (i.e. they reduce stress and increase enjoyment and personal fulfillment) . Our Spanish language programs (classes and computer programs) are based on a language acquisition approach that is highly enjoyable, is free of tedious drills and memorization, yet allows students to learn very rapidly. Our approach to teaching is based on training we received from the researcher Dr. Georgi Lozanov and is consistent with recent theories from linguist Stephen Krashen about how we learn language. Our work focuses primarily on accelerated language instruction. We and our trainers have developed and delivered programs in many places, including Austria, Canada, Mexico, Japan, Malaysia, and Singapore. In the US, we have delivered effective language programs to government agencies as well as to major corporations doing business in Spanish-speaking countries. Rapid Learning: With an effective language acquisition method in an emotionally supportive environment you can expect to learn from 2-5 times faster than with conventional methods. Practical: Our programs aim to get you to be able to understand and speak Spanish with native Spanish speakers in work, travel and social situations. When you want to learn a new language, aim for fluency because fluency allows you to function in the real world fully. All of our programs are designed from the expectation that fluency will be your long-term goal..
Stress-free: Our classes and software are designed to eliminate or reduce study and classroom stress as much as possible. You didn’t experience stress from learning your first language – though you undoubtedly experienced life stress during your childhood. You should not have to experience stress from learning a second language – and to the extent you do, your learning is impeded.